Kate had this dramatic evening gown from Alexander McQueen customized, doing away with the spaghetti straps and the corset bodice. 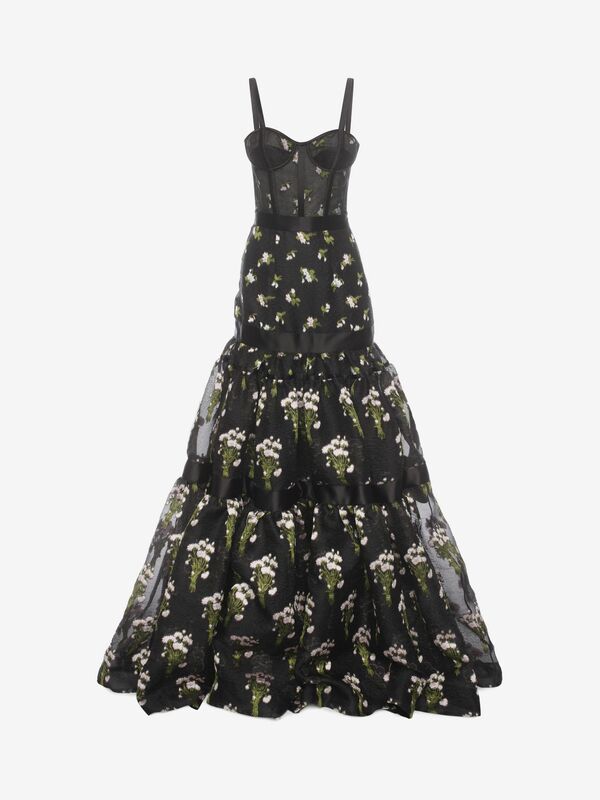 It still features a tiered, full organza skirt in a black jacquard sprinkled with embroidered flowers. 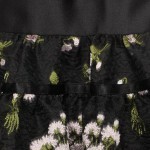 73% Silk, 22% Polyester, 5% Polyamide. Retail: £6,000+.